The thriving Midwestern City of St. Louis is the 15th-largest city in the country. It’s the largest city in Missouri and a very competitive market for attorneys who depend on a high volume of clients for their practice. In order to grow your practice, your law firm has to find a way to distinguish itself. The vanity number can give your firm the added boost to surpass your competition. 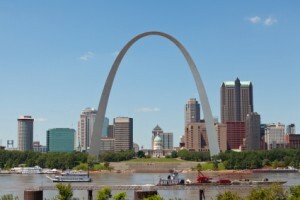 As a participating law firm, all the leads generated in St. Louis would belong to your firm. Secure the cases that fit your firm best and refer the rest out to your own local network of attorneys. The St. Louis geographical area includes the whole metropolitan area – both in Missouri and Illinois. Counties covered by the geographical area are Bond, Calhoun, Clay, Clinton, Fayette, Greene, Jersey, Macoupin, Madison, Marion, Monroe, Montgomery, Randolph, St. Clair, Washington and Missouri counties Crawford, Franklin, Gasconade, Iron, Jefferson, Lincoln, Phelps, Pike, Reynolds, St. Charles, St. Francois, St. Louis City, St. Louis county, Ste. Genevieve, Warren and Washington. Contact a sales representative for more information about St. Louis’ availability and the benefits of joining 1-800-ATTORNEY. You can reach a representative by phone at 1-800-704-3578 or by email at info@1800attorney.com.